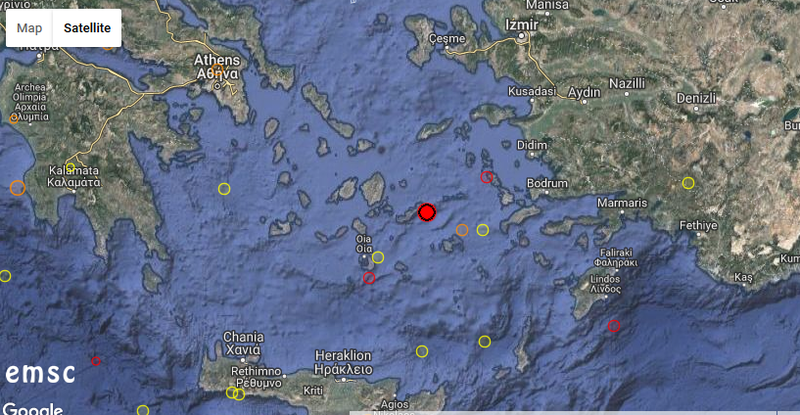 Earthquake Prediction: 4.7R in Dodecanese, As Predicted. 4.7R in Dodecanese, As Predicted. A 4.7R earthquake has been reported in the region of Dodecanese, 24km from Kamarion in Greece. We were expecting stronger events today and over the next few days in Greece as shown by the April calendar, here.